These last few weeks, a ton of news has come out about DC's plans for their Justice League movie and others. Some of it confounds me and other details make sense. I get Batman vs Superman. But I'm confounded about Shazam and Sandman. Now Shazam used to be called Captain Marvel, and is now called Shazam. Marvel forced the issue and copyrighted Captain Marvel. But he has an alter ego in the form of Billy Batson, a 15-year-old troubled teen. The man is powered by magic and things. Shazam stands for S for the Wisdom of Solomon; H for the Strength of Hercules; A for the Stamina of Atlas; Z for the Power of Zeus, A for the Courage of Achilles and M for the Speed of Mercury. Sandman? Really? What's that about? We'll then get the Justice League movie in 2017, a Wonder Woman movie followed by a Flash and Green Lantern movie. Word on the street is that Ryan Reynolds WILL NOT be Green Lantern. Then there's a second Man of Steel movie in 2018. The order seems wacky. I can't see Shazam or Sandman actually doing well for them, and then seeing more mainstream DC characters showing up after it's all said and done. But there are also claims being made that we're going to be seeing Cyborg, Flash and maybe a Green Lantern appearance in Batman vs Superman. THEN there are the rumors of who will show up in the Justice League movie, that being the characters of Martian Manhunter and Darkseid. So suddenly DC/WB is starting to play serious catch up to Marvel, or at least, start trying. But we saw how Spiderman 2 shoved so many characters in a movie, and it fell somewhat flat. Folks weren't amused and the story seemed to suffer from the overstuffing of characters, just to launch them into their licensed world of Marvel movies. And now this, where Batman vs Superman: Dawn of Justice is packing so many characters in there, that it may become a diluted story. Or, the Justice League prequel. And then there's the competitive side of things. May 6, 2016 – Batman V. Superman: Dawn Of Justice – Warner Bros.
July 2016 – Shazam – Warner Bros.
December 2016 – Sandman – Warner Bros.
May 2017 – Justice League – Warner Bros.
July 2017 – Wonder Woman – Warner Bros.
December 2017 – Flash & Green Lantern Team-up – Warner Bros.
May 2018 – Man Of Steel 2 – Warner Bros. Many of these are conjectural (?) dates. That's a ton of movies for the comic book fan to absorb. And this kind of schedule could dillute the box office numbers for some. 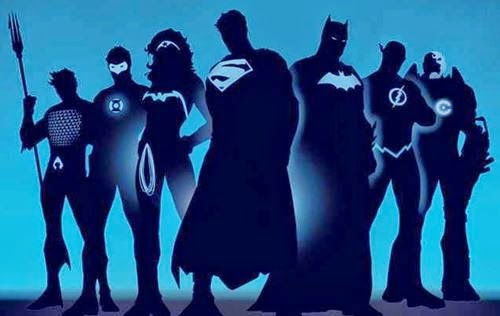 Bottom line is that the DC Entertainment schedule should be taken with a grain of salt for now until we hear officially from Warner Bros.. But Finke is known for her sources and hasn't been off the mark in the past. We'll see. Eh, it's at least interesting to entertain the possibilities for now.